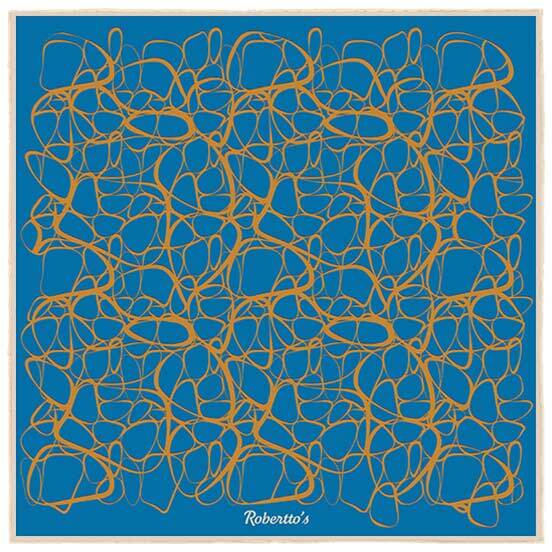 Everybody has their own opinion on contemporary art, but nobody can deny its power to turn heads and capture the public’s imagination. 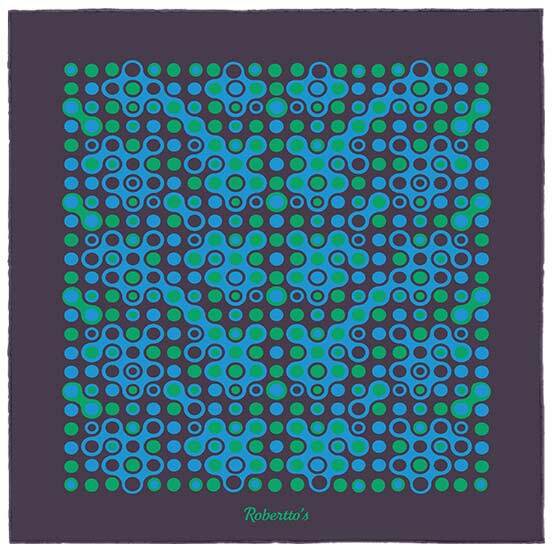 Endlessly pioneering, constantly pushing the boundaries of possibility, we owe our greatest creative minds a huge debt for shaping and coloring the world as we know it today. 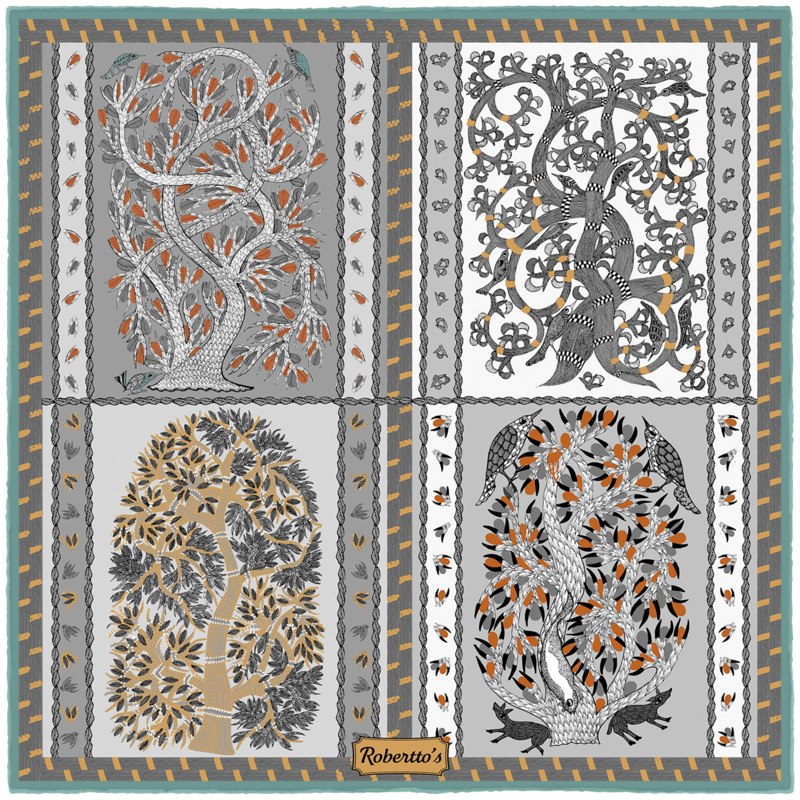 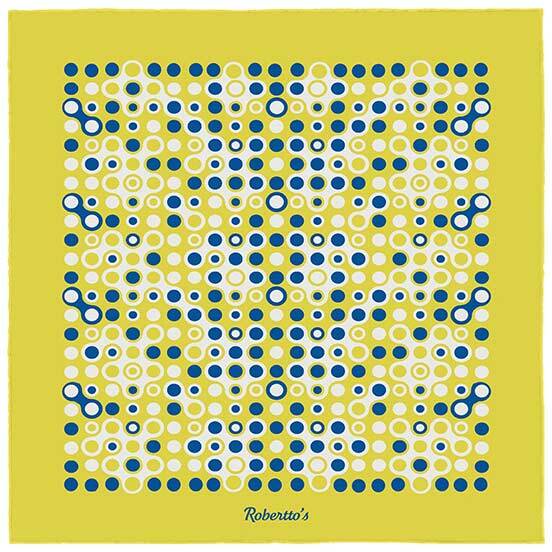 When the same aesthetic approach that drives the world’s leading abstract and minimalist artists inspires designers of our luxury pocket squares, the results are sure to be nothing short of spectacular. 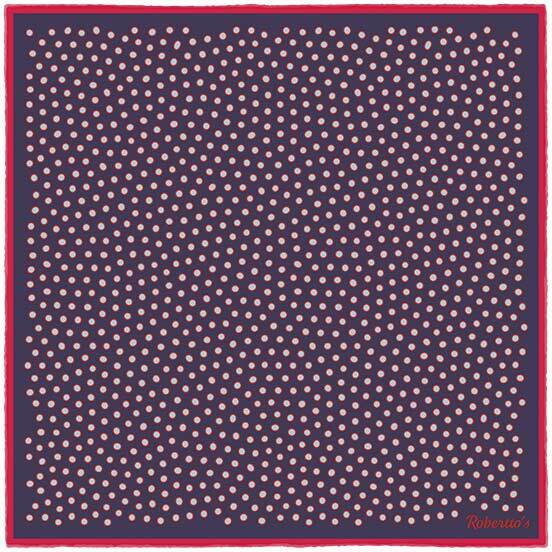 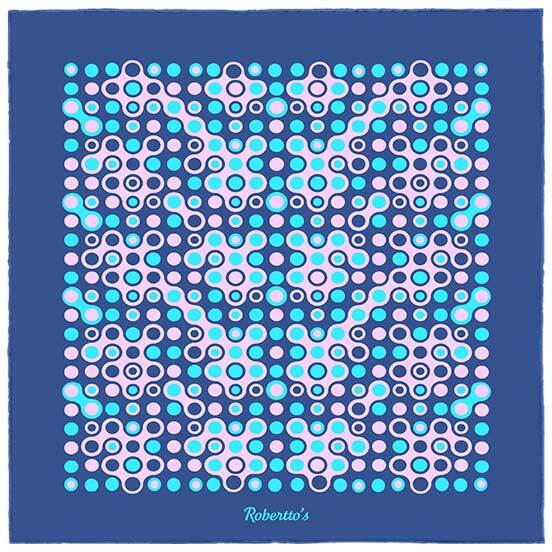 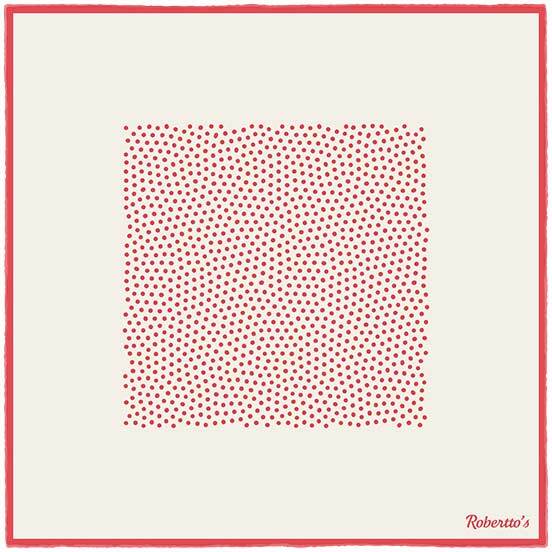 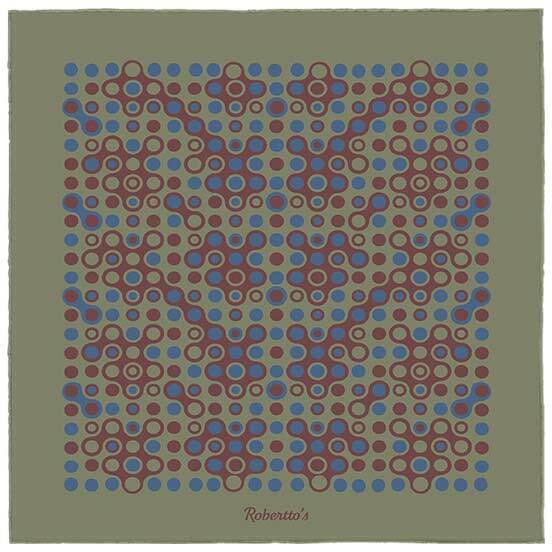 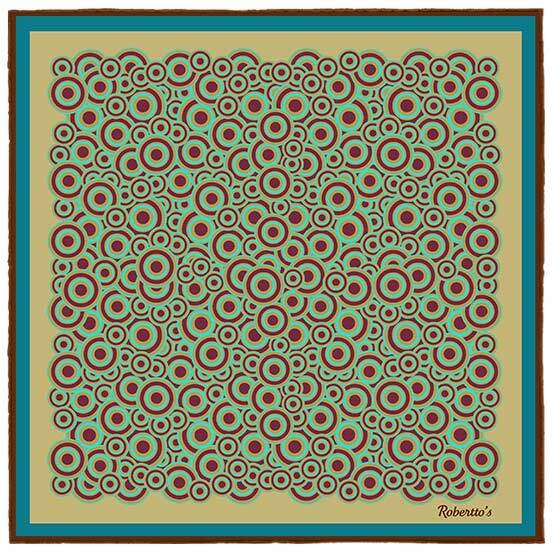 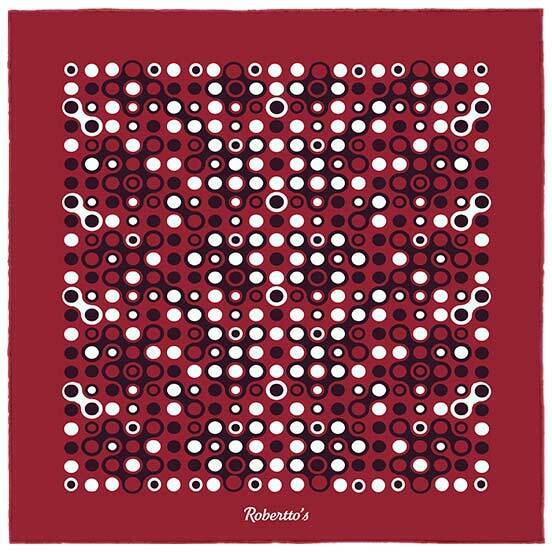 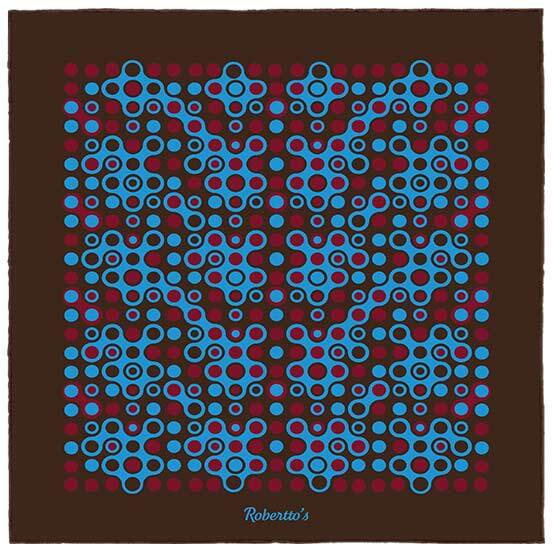 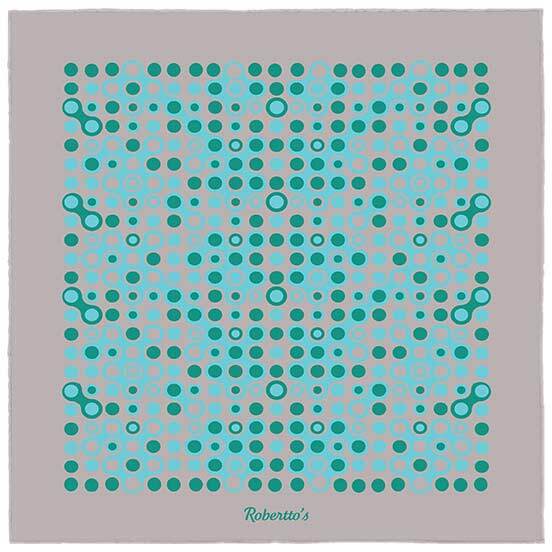 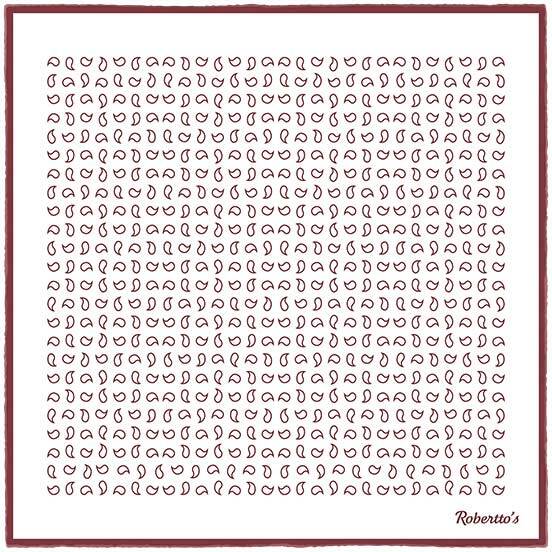 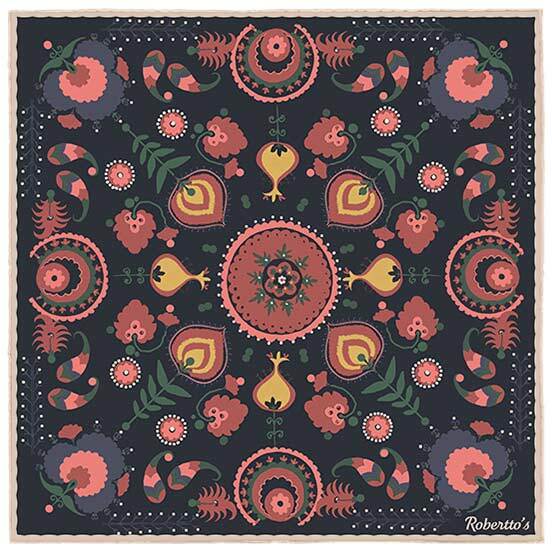 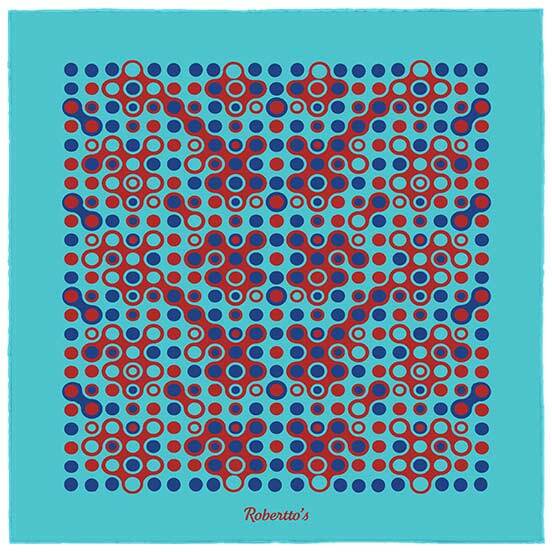 Dots and hoops come together in forms and lines which suggest both order and chaos, resulting in a pocket square design which is the very essence of urbane style, and avant-garde fashion. 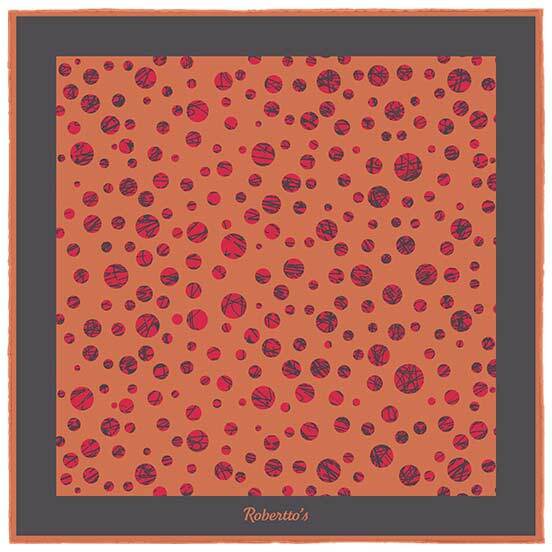 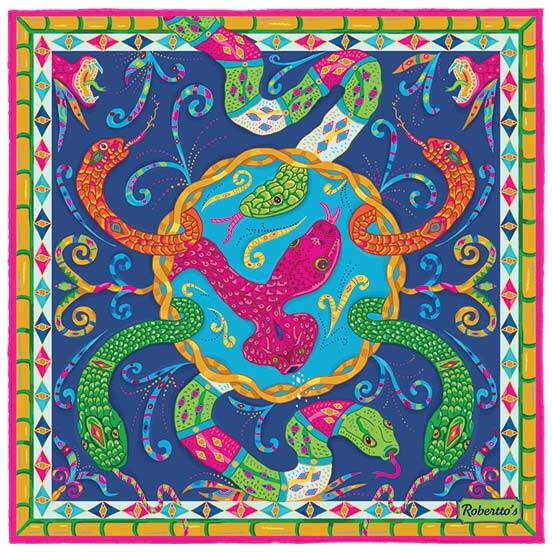 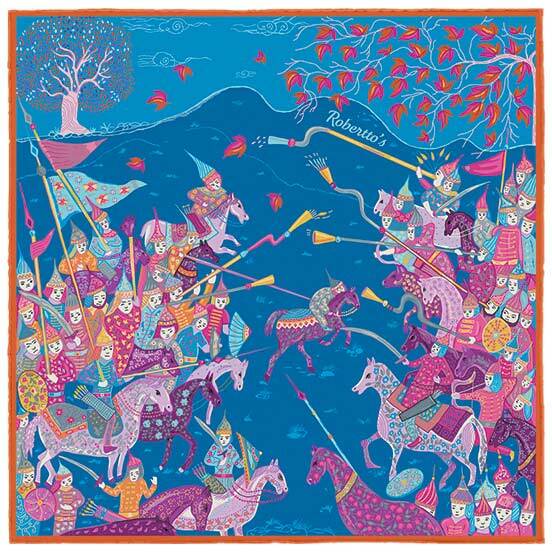 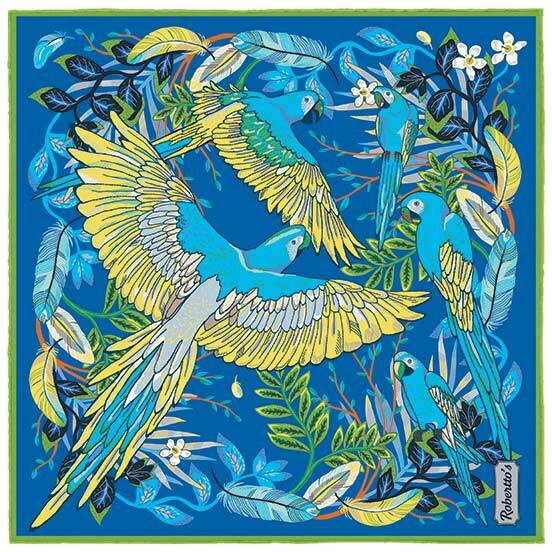 This high quality pocket square manages to capture the excitement of a new artistic discovery, combining a sleek, dazzling pattern with a color palette that will not only brighten up and add intrigue to any suit jacket, but will also infuse the everyday with an air of unbridled creativity. 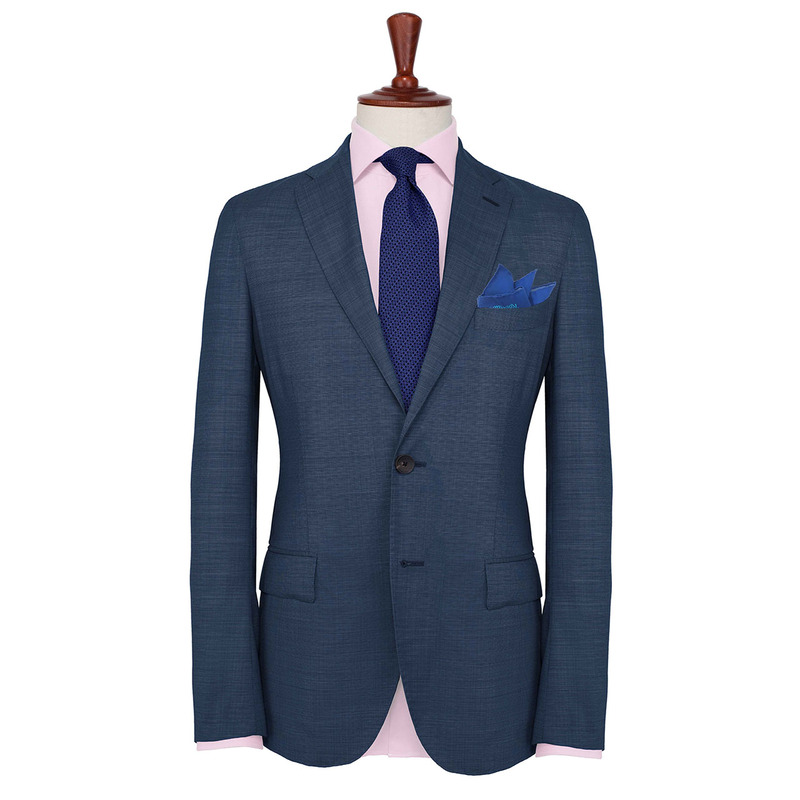 There are those who want their suit accessories understated and subtle, and there are those who know that eye-catching and vibrant is the only way to go. 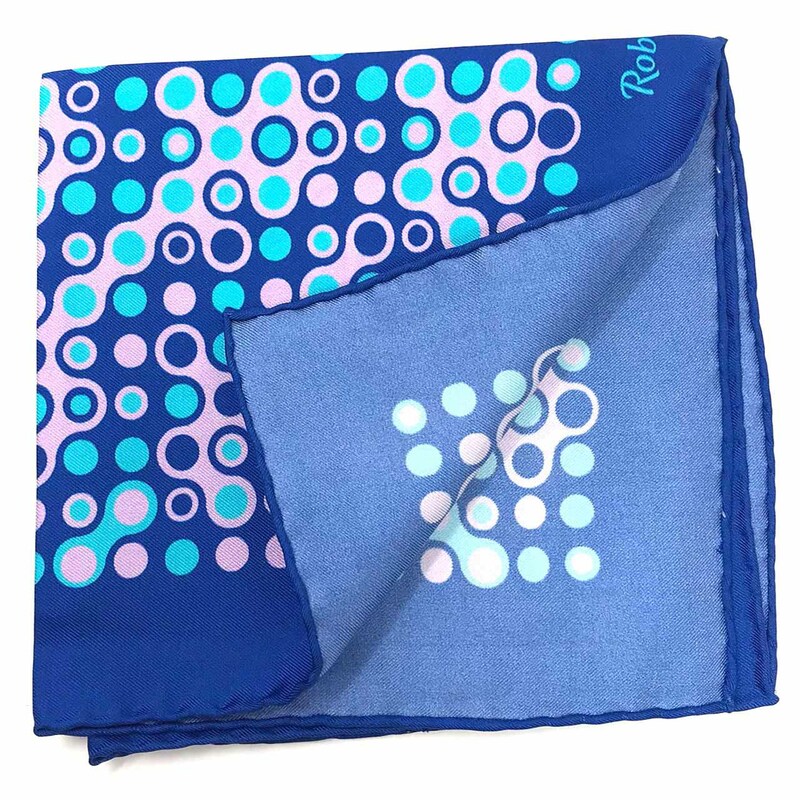 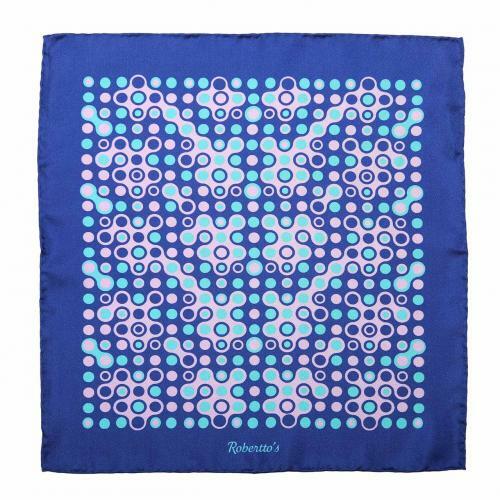 This stunning, vividly colored pocket square certainly falls into the latter category, with its beautiful purple-blue background and hand-rolled hem, and striking arctic blue polka dots pattern. 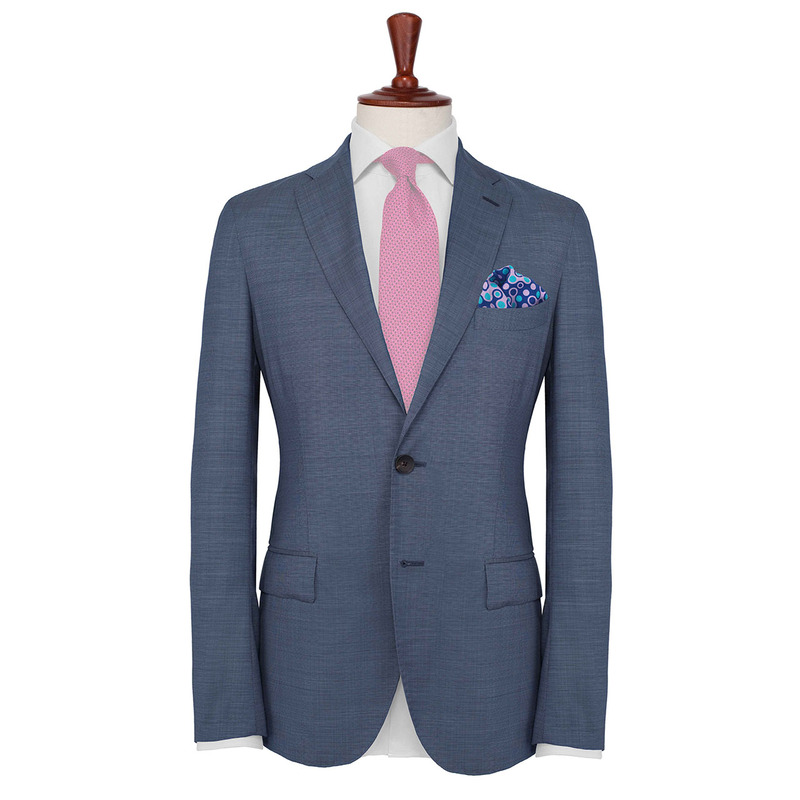 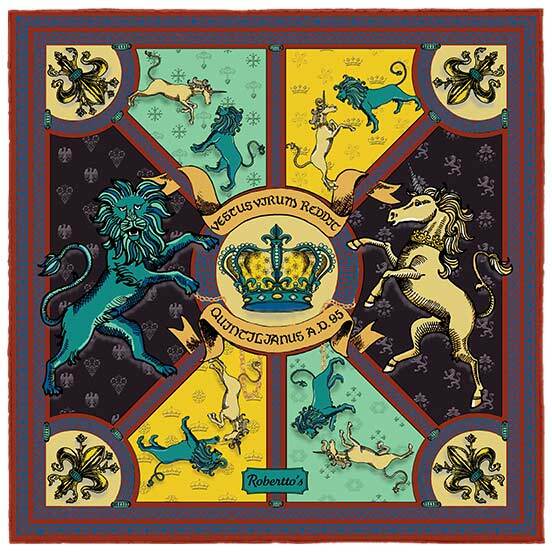 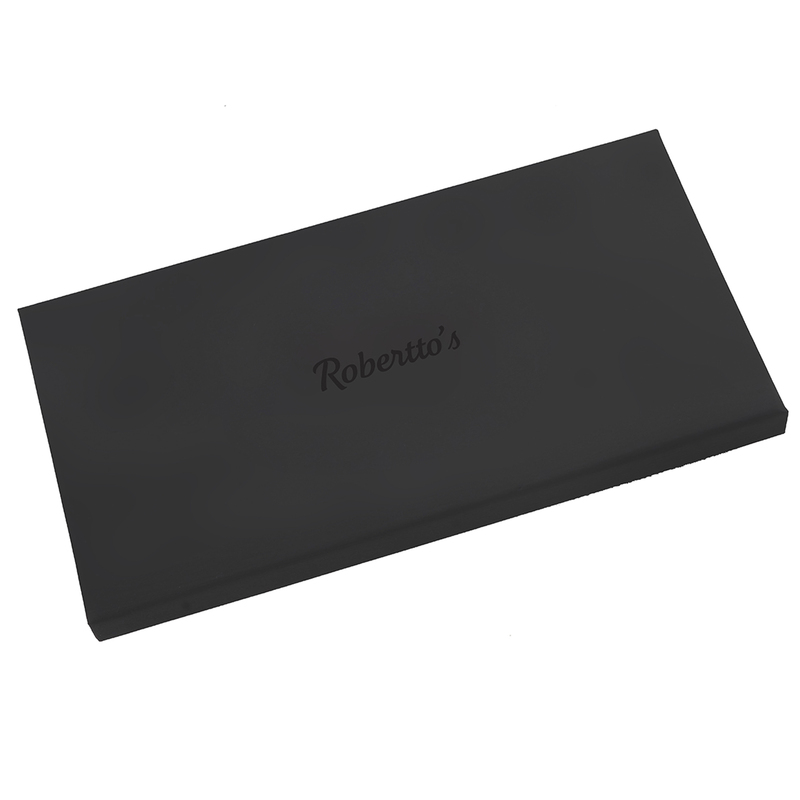 This is, without a doubt, a high quality pocket square which is ideal for those unafraid of making a powerful impression, especially when worn with a navy blue suit and tie, worn with a pale blue shirt. 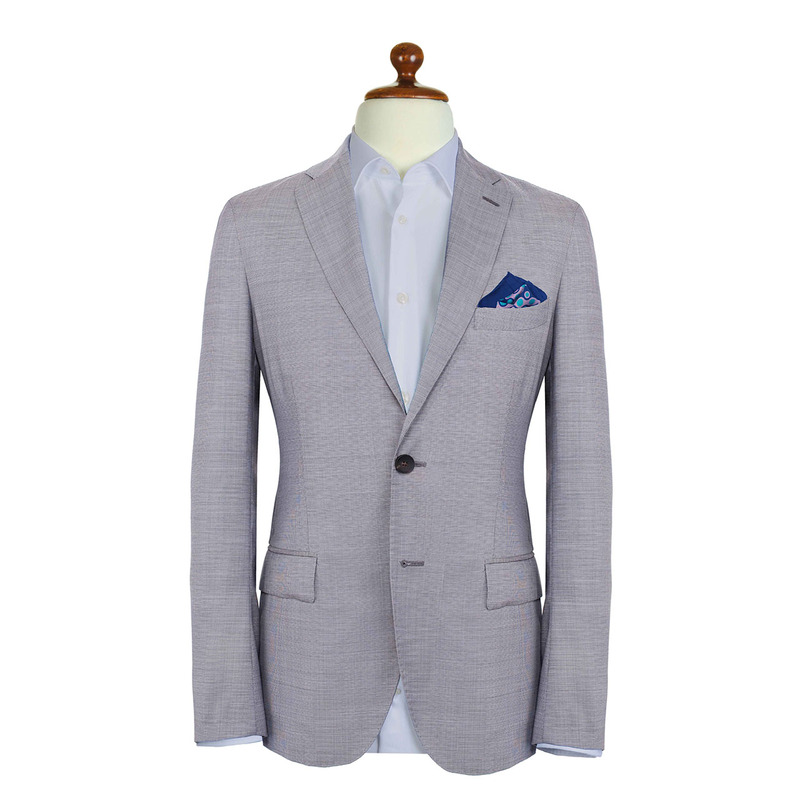 Modern elegance and urbane style epitomized.